Dr Meridith Belbin developed the Belbin Team Roles Theory in the 1970s, based on how individuals perform in a team environment. Belbin was curious about how individuals in a team setting would behave and had the opportunity to begin research at Henley College which began a nine year journey in developing the theory. With the support of the college, Dr Meridith Belbin undertook studies with these groups to analyse how individuals behaved as a team. This was done through management games. What came out of the experiment was that particular individuals gravitated towards certain roles when working in a team context. Role balance within a team was found to be crucial to the positive and timely outcome of a task. It is easy to see this in everyday life. When a team performs well, be it in sport, school, projects or general business, you can see that there is a degree of uniformity, whereby everyone knows what they are doing and how to do it. Everything looks easy and well-structured and success typically flows through the team. All too often, teams don’t always perform to that perfect blue print, even if they do have clear roles and responsibilities. Often, there may be a natural leader in the team, there may too be a visionary: someone that can easily see through the sinews of the current barriers and identify a clear path to success, but they lack do-ers and experts, and without this balance, often teams do not perform as well as they could. The same applies on the contrary, whereby a team of doers may not have a leader and someone that can guide them towards the bigger picture, and as a result, the team again may not meet expectations. Through his experimentation, Belbin saw this to be true and often, teams can become imbalanced if all its members have similar styles of behaviour (team roles). Generally, if team members have similar weakness, the team as a whole may tend to have that weakness too. Likewise, if team members have similar team-work strengths, they may tend to compete (rather than co-operate) for the team tasks and responsibilities that best suit their natural styles. Belbin team roles were then born, which highlighted seven different functions that a team, he argued, must undertake in order to be truly effective and successful. The role of the manager then is to create teams by selecting individuals that cover all nine roles. This will ensure the team has the right mix of skills to drive success. Each function is associated with typical team work behaviour and interpersonal strengths and weaknesses. To understand their Belbin team role and identify associated strengths and weaknesses, in order to improve and thus increase the performance of the team. SHAPER. The shaper challenges, is dynamic and thrives on pressure with the drive and courage to overcome obstacles. The Shaper can also hurt the feelings of other team members through provocation. COMPLETER or COMPLETER FINISHER. 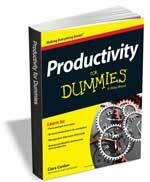 The Completer delivers on time is conscientious and anxious searching out errors and omissions in a project. On the negative side the completer is inclined to worry unduly and is reluctant to delegate. IMPLEMENTER. Discipline, reliability, efficiency and the ability to turn ideas into practical action are attributes of the Implementer. Although; on the reverse side implementers can be inflexible and slow to respond to new opportunities. RESOURCE INVESTIGATOR. This is an enthusiastic and extrovert character who is communicative with a particular skill in exploring opportunities and developing contacts. Negative aspects being over optimistic and losing interest once the initial enthusiasm has passed. CO-ORDINATOR. The coordinator is mature, confident and a good Chairperson who clarifies goals, delegates well and promotes consensus. On the minus side, the coordinator can be manipulative. TEAM WORKER. Team Workers are cooperative, mild mannered and perceptive. Good listening skills are possessed with the ability to build a calming environment. Team Workers can also be indecisive in pressure situations and be easily influenced. PLANT. The plant was identified as the creative member of the team with an imaginative and uncommon approach to solving issues. The reverse characteristics being that the Plant can ignore detail and be too preoccupied to effectively communicate with team members. MONITOR EVALUATOR. Team members with this role are sober and strategic seeing all options and accurately judging situations. The Monitor Evaluator can also lack the drive and ability to inspire others and be critical of them. SPECIALIST. The Specialist is single minded and self-starting . 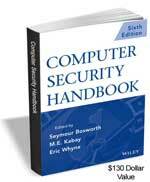 This role provides the knowledge which is in short supply. On the negative side the Specialist can only contribute narrowly to the team task. Belbin Team Roles measure behaviour, rather than personality. An individual’s personality traits can be acknowledged to be fairly stable and unchangeable, behaviour can and often changes to enable you to adapt to new working environments and challenges. It must be noted that whilst your current working style might be a perfect fit with your job role and the culture of your workplace at the moment, what if you moved department or even organisation? You might find that you were able to shape your role around your current team role strengths, but more likely your behaviours would adapt to address the requirements of your work and your team, thus they can change! Understanding this is of great advantage. Through tasks, competency of those tasks, different roles and responsibilities in a team and even working towards or aspiring towards a role can help make that role become prominent. 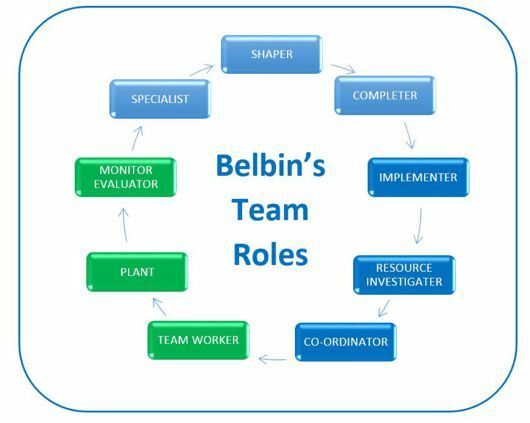 Belbin team roles are a good indication; a great way to analyse the makeup of your team, but you should not use this model as set in stone. After all, we rarely live in a perfect world and what looks good on paper proves tricky to perfect in reality. Aim to observe each individual in a team – how do they behave? Where would you map them amongst the nine team roles? 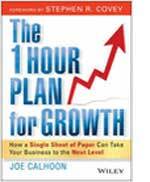 Do this regularly – Regular reviews and communication is good practice. Really get to know and understand your team and the team member’s behaviours. Aim to fill the gaps in the team to try and obtain a ‘balance’ which covers all nine roles. Ensure that everyone understands their roles and their associated weaknesses. Build regular one to one discussions and review performance and help develop improvement plans to improve on the said weak areas. Use training to help people develop and map into new Belbin Roles. Give them confidence, skills and an understanding. Lastly, You can also this model to help understand your role within a particular team, so that you can develop your strengths and manage your weaknesses as a team member. Teams rely on clarity and place. What I mean by this is that everyone must understand where they fit and how they can contribute. Managing goals and expectations are all paramount, but so too understanding and developing the chemistry of the team is a lot harder and often forgotten, but vital part in effective team building. The Beblin team roles can help clarify somewhat muddy waters and give you a clear dimension to improve you and your team.